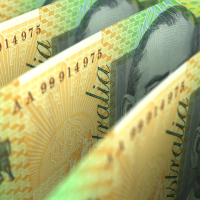 Perpetual has opened its initial public offering for its Perpetual Credit Income Trust, with it saying the indicative bids have already surpassed its minimum raise of $150 million. The trust is intended to provide individual investors with access to credit and income assets they can’t typically source themselves due to high investment requirements or other limits, holding an accessible minimum application amount of $2,000. The trust offers exposure to a portfolio of typically 50-100 credit and fixed income assets diversified by asset type, credit quality, loan maturity, country and issue, Perpetual said. Typical investments in PCI will include corporate bonds, floating rate notes, securitised assets and private debt, mainly corporate loans. Michael Korber, head of credit and fixed income, Perpetual Investments will be managing the portfolio. “The new Perpetual Credit Income Trust is coming at a time when Australia’s retirement age population is growing and looking to meet their income needs in ways diversified beyond their traditional sources of investment income like property and term deposits,” Mr Korber said. “On a global scale, Australians have one of the lowest allocations to fixed income assets in the OECD. Perpetual’s chief executive and managing director Rob Adams added: “As a defensive asset class, credit and fixed income should form the bedrock of an investor’s portfolio." The management cost is expected to be 0.88 of a percentage point per annum of the trust’s net tangible assets (NTA). The responsible entity of PCI will be Perpetual Trust Services, the investment manager will be Perpetual Investment Management. The IPO offer closes 18 April, with it expected to trade on the ASX on 14 May. PCI has a target first distribution date of 30 June.